Available for recovery of any lost rings, jewelry, coins, caches or any other lost metallic items. 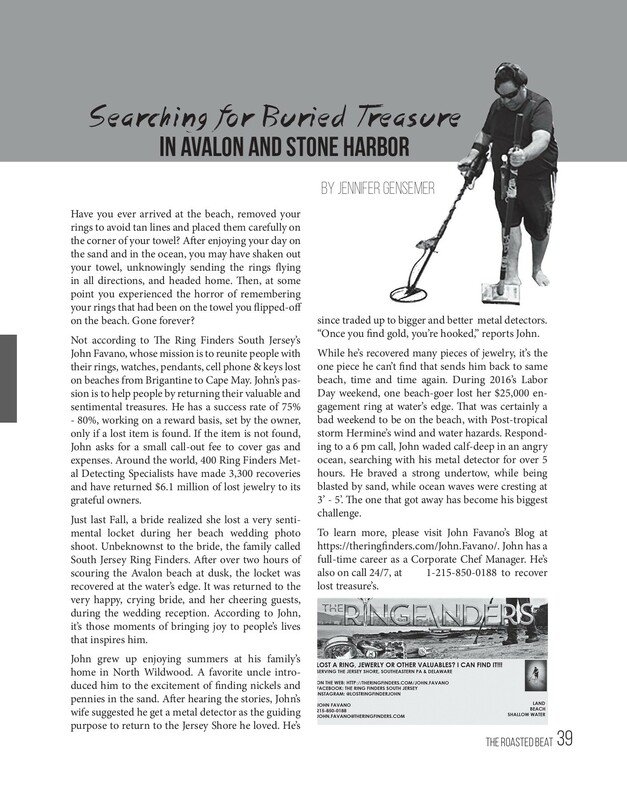 My name is John Favano and I enjoy metal detecting and treasure hunting. Feel free to contact me at any time and I will search for lost ring, jewelry or other valuable items.